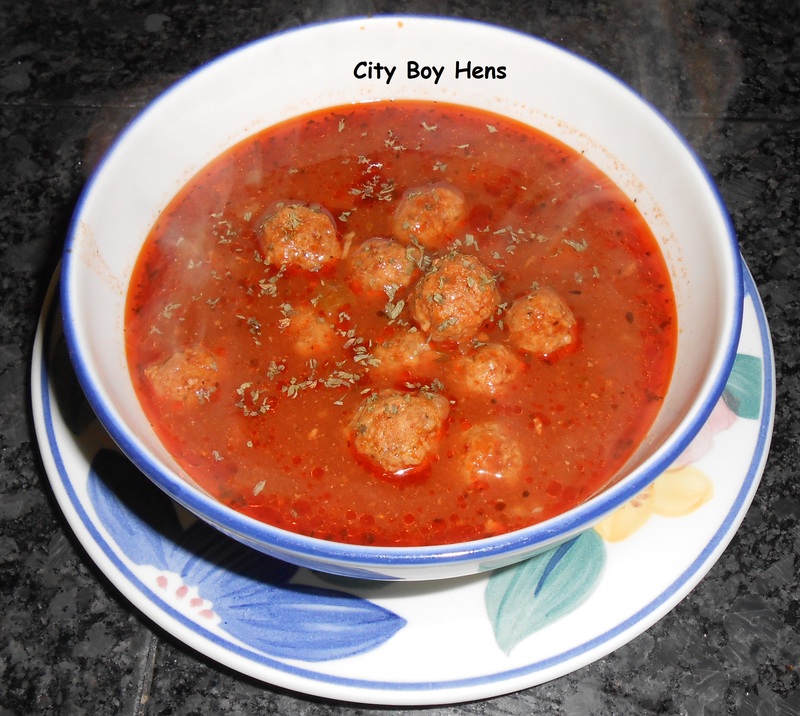 Italian meatball soup is one of the family favorites at City Boy Hens. You know it’s good when your kids re-heat this soup because they are hungry 2 hours after eating dinner. Around here, it never seems to last for more than a day after it has been made. With that said, it is labor intensive to make all those tiny meatballs. I guess that’s the trade-off for a great soup that can be served casually for an evening meal or as a course for a more formal dinner. In a large pot, add olive oil over medium heat. 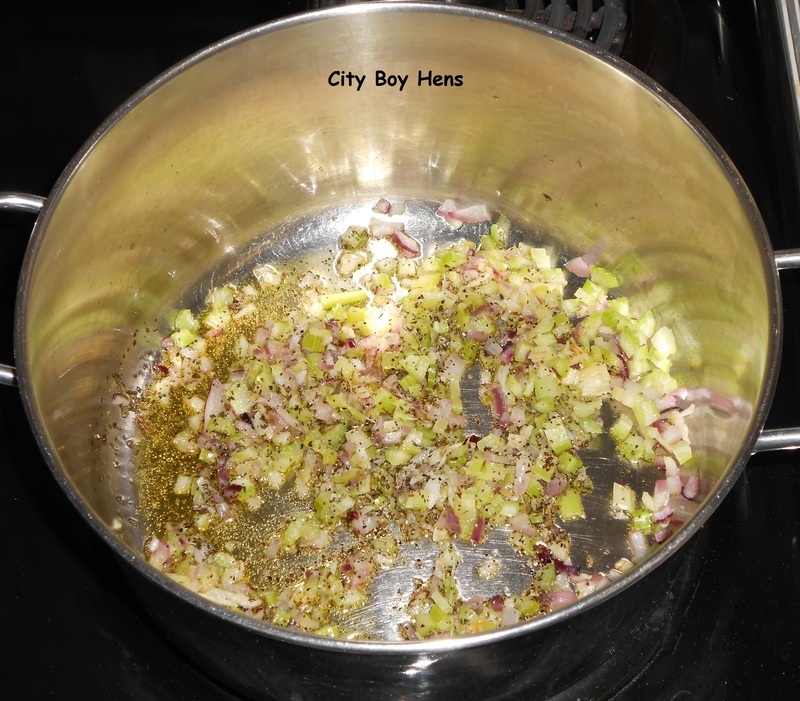 Add the chopped onion and celery and cook for 4 minutes or until vegetables become soft. Add the garlic, basil and oregano. Cook for a few more minutes. Add strained tomatoes, beef broth and tomato paste. 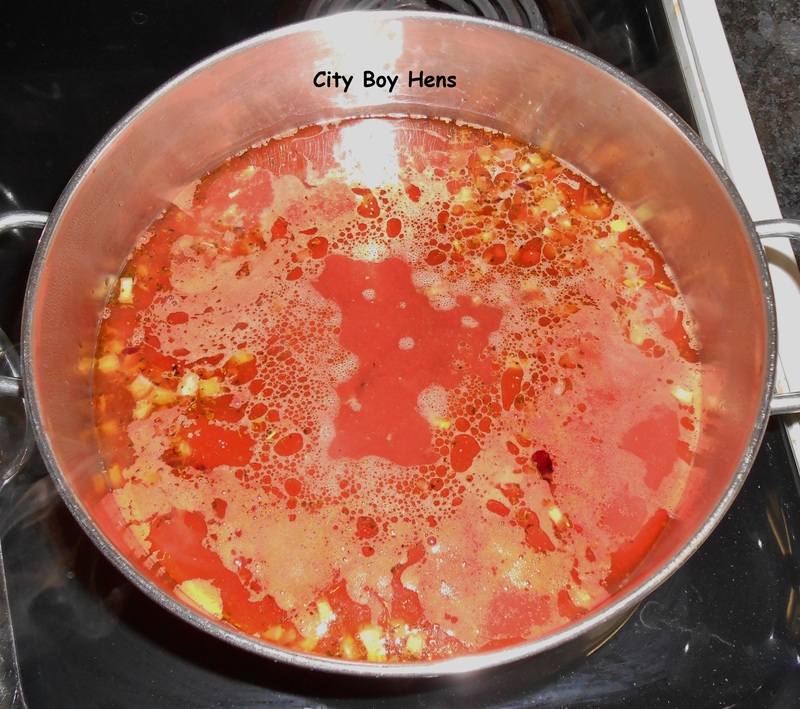 Bring to a boil and then turn down to a simmer. While this is cooking, begin to make the meatballs. 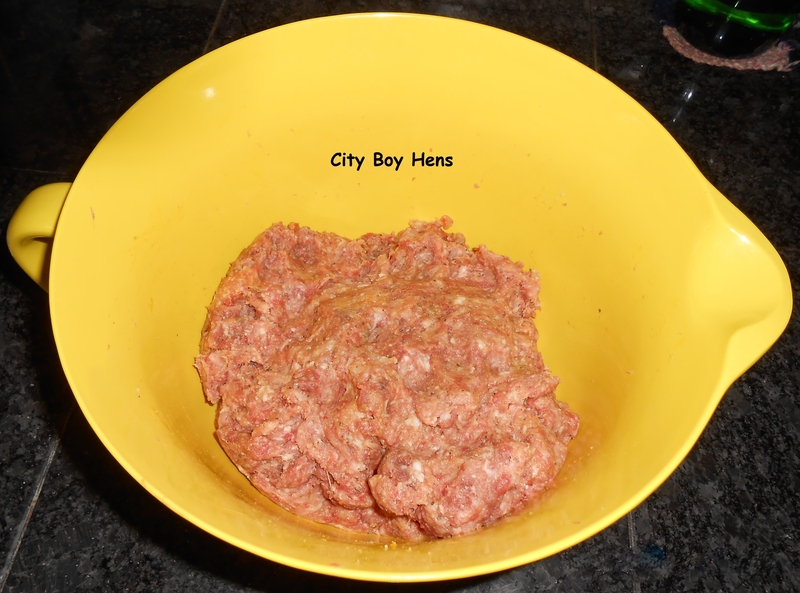 In a mixing bowl, combine the ground beef, ground pork, eggs, cheese, bread crumbs and remaining basil and oregano. Mix until thoroughly combined. Now the fun begins. Remember, you are doing this for your family and they will love this soup. You are going to need to repeat this mantra many times after your first 50 meatballs!!!!!!!!!!!!!!! I’m sure you’ll come up with your own technique, but here’s how I make these tiny meatballs. I hook my index finger into the mixture and come out with a small amount. I then roll it in the palms of my hands and deposit it on to a dinner plate. Repeat this process….oh about….another 100 times. 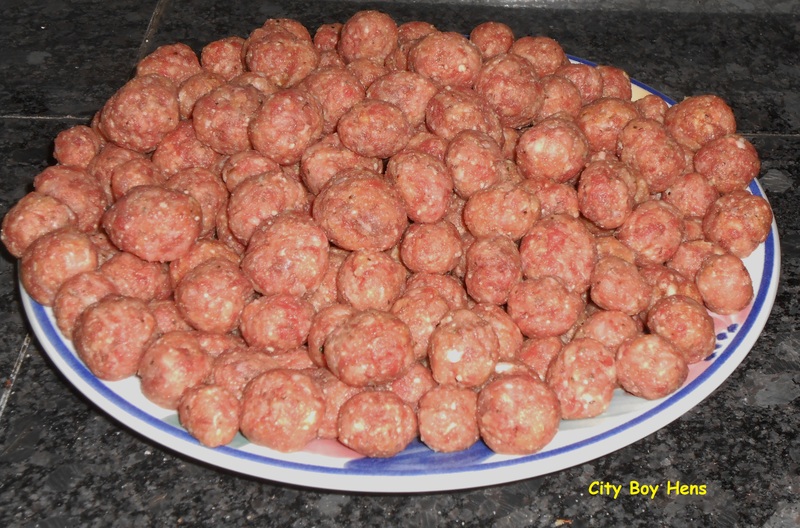 Look…there’s no sense in making this soup if your gonna’ start whining about the meatballs and….we are not making meatballs for a marinara sauce so don’t start rolling golf ball size meatballs in order to get the job done. This is a soup, not a pasta dish! Once you are done…….congrats…..you should be proud of yourself, gently roll the meatballs off the plate and into your simmering broth. Cook for at least one hour so that the broth can give those meatballs even more flavor. With about 20 minutes left before serving, add the Romano beans. Just prior to serving and a few tablespoons of parmesan cheese if desired. Bon Appetit!